Ten illustrated stories following the adventures of Simon Lewis, star of the #1 New York Times bestselling series The Mortal Instruments, as he trains to become a Shadowhunter. Simon has been a human and a vampire, but after the events of City of Heavenly Fire left him stripped of his memories, he isn't sure who he is any more. When the Shadowhunter Academy reopens, Simon throws himself into this new world of demon-hunting, determined to find himself again. 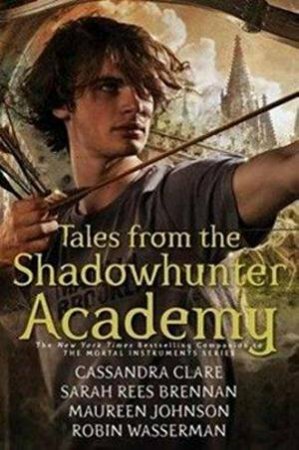 Whomever this Simon might be...Join him on his journey to become a Shadowhunter, and learn about the Academy's illustrious history along the way, through guest lecturers such as Jace Herondale, Tessa Gray, and Magnus Bane. The series features characters from Cassandra Clare's Mortal Instruments, Infernal Devices, Dark Artifices and the upcoming Last Hours series.